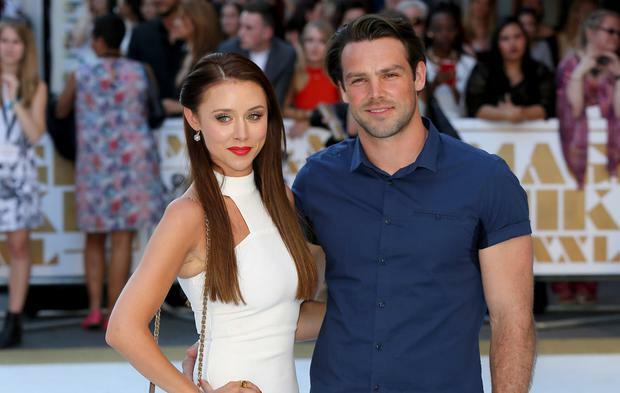 Una Healy says her split from husband Ben Foden is the inspiration behind her new song 'Strangers'. 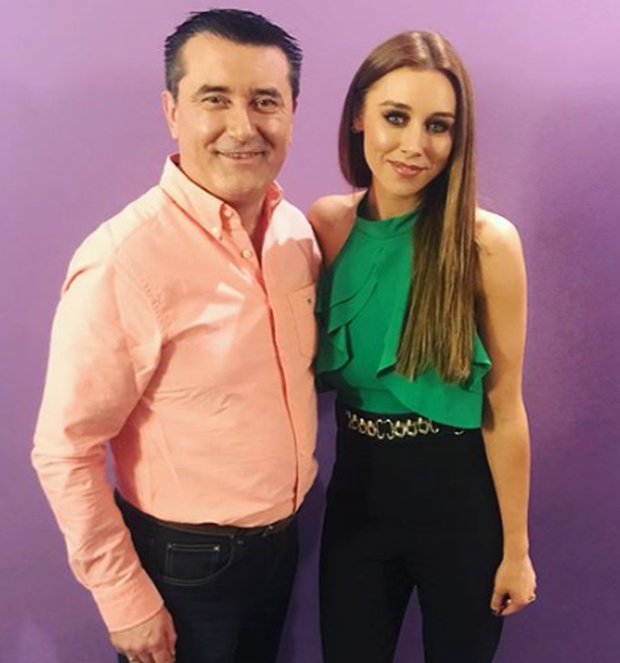 In a candid interview with Ryan Tubridy on tonight's Late Late Show, says the song "is clearly about him and the fact that he's like a stranger now". The former Saturdays singer stressed was she was not "dishing the dirt" on her husband, nor did she regret their marriage as it produced their two "beautiful" children Aoife and Tadhg. Una performed her new song 'Strangers' live on the programme, and said it came about as people wrote to her after she split from Ben in July, after stories emerged he had been unfaithful to her. "I've so many people write to me and tell me story of their break-ups," she told host Ryan on the RTE chatshow. "It's a song for people to help them kind of cope with their break-ups." She said her song was about "this person you met and they came into your life as a stranger, and then you spend some time with them and they're your 'forever person'. "And then when it's over, it's like they're a stranger again. "it's sad, but it's beautifully sad if you know what I mean." She agreed with Ryan when he asked was she singing about what was happening in her life. "The story is there," she said. "Like I am not here to dish the dirt and start saying anything bad about.... my husband Ben. But this song is clearly about him and the fact that he's like a stranger now." When asked about how she was doing, she replied: "Good. You know it's been hard. It's very hard you know." She said her life as a "single mum" began when her marriage ended in July, but she had no regrets about their relationship. "I can never look back on it and say it was a mistake. But it's just that part of the relationship is over. "He'll always be a father to the children. It's difficult that he's all the way over in New York at the minute," she said. When their marriage broke down, rugby player Ben was in the middle of a transfer from British club Northampton to a New York club. Una said they were talking about relocating there as a family, but nothing was definite. "I went out there (to New York) to kind of, as my mother said, to assess the battleground. And I was like I am not, no way, moving out there with two kids. Like it's just not a place for children. New York is a very single, very career-driven place to be. "So I decided not to go. "But it wasn't until after I came back then that it was all revealed what was going on behind my back and everything," she explained. In an interview with the Guardian newspaper in February, Ben admitted he had been unfaithful to his wife Una, but said it wasn't the only reason for the divorce. In tonight's interview, Una said the marriage would have "come to an end at some point". While the situation was difficult initially, she agreed with Ryan when he suggesed "peace lines" had been drawn since. "I'm in a much better place now than I've been in a long time now to be honest. I think it was probably going to come to an end at some point anyway. but that speeds up the process when you find out about someone being with someone else behind your back." She said she happened to be in Ireland, visiting her parents in her native Thurles, Co Tipperary, when news of Ben's adultery and their subsequent split broke. "It's like I fled to Ireland you know. I think everybody assumed I moved back with the kids but I just so happened to be back anyway for a few days and took refuge in the house down in Thurles. "And poor mammy had to answer the door to a reporter who came, and there was a pap in a car across the road and she was like 'oh no, not now.'" She paid tribute to both of her parents for their support, particularly her mother. "She minds us all. She is the mother hen, the grandmother hen, the whole lot," she said.